In 2013, the Ministry of Industry and Information Technology of China had valued country's IT market valued at over USD 493 billion. For India, getting access to China's IT market is important to address the massive trade deficit which has now crossed over USD 51 billion. India on Sunday launched its second IT corridor in China to get access to the growing Chinese software market. The new IT corridor in Guiyang came months after NASSCOM established its first Digital Collaborative Opportunities Plaza or SIDCOP platform in the Chinese port city of Dalian. According to reports, Dalian corridor's focus was on Internet of Things- IoT but the Guiyang corridor will focus on Big Data. The platform in Guiyang intends to create online and offline presence to promote a "co-create culture" between two large neighbours in the Big Data space, NASSCOM-Global Trade Development Senior Director Gagan Sabharwal told PTI. Speaking at the launch of the Guiyang IT corridor, India's Ambassador to China Gautam Bambawale said that the corridor is aimed at setting up local offices and assisting companies from Guiyang to establish software and IT units in India. 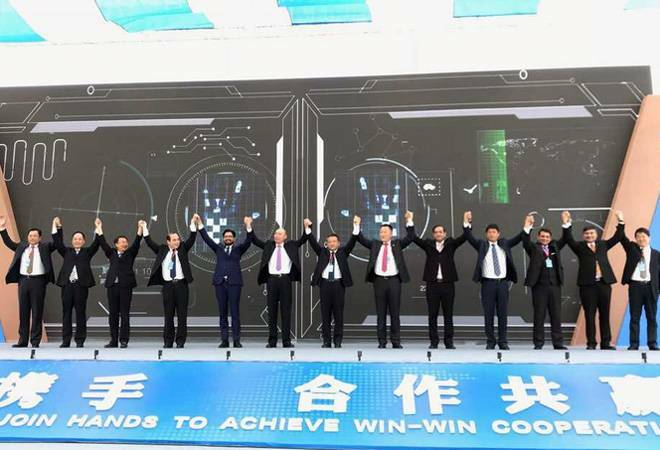 An Indian company named 'Zeta-V' will establish an Artificial Intelligence enabled platform for SIDCOP to bring together the IT requirements of Chinese companies and Indian companies which have solutions to offer, Bambawale said. "In this way, we will be marrying together the requirements of Chinese companies with the capabilities of Indian IT service providers. We visualise that these initiatives will give a big impetus to cooperation between India and China in the IT-enabled services sector," he further added. In 2013, the Ministry of Industry and Information Technology of China had valued country's IT market valued at over USD 493 billion. For India, getting access to China's IT market is important to address the massive trade deficit which has now spiralled to over USD 51 billion.